I'm going to have to postpone the last post in the friendship series and proclaim this week an official phone-blogging week! Because my 1 year 3 month old laptop decided to have its hard drive die last weeK. So sad. Hence I'm without a laptop. And most of my blog files. We bought a new computer over the weekend (the other one was a cheap laptop, and we just didn't think it was worth it to replace the hard drive), and both the new one and the old are at the store getting files transferred. And I'm hoping they can save my files! There are a few things I didn't have backed up. Oh yeah, and, um, we bought a Mac. I'm making the switch, people! And I'm kind of nervous about it. All you Mac people and Derek's brother convinced us to give it a try. But this week will probably be rough while I try to figure out my new laptop! But for now, this is what you get. A short, boring-ish post typed on my phone. It's as good as it gets for now. Please excuse any typos. Auto word-correct, you know. So, do you all have Macs or PCs? So I almost thought this post was going to a be a no-go today, because my computer is on the fritz. I’m hoping to get it fixed this week. It finally shaped up with enough time for me to write this though, so here we go! I’m now 16 weeks pregnant! Well, 16 weeks and some days. I’m going to admit that I’ve been rather worried about the Baby Bean the last couple of weeks, mostly because this pregnancy is a lot different than my pregnancy with Wyatt. At least as far as I’m carrying. I can most definitely say that this time around the belly is much higher than with Wyatt. I can still button most of my pants; at this point with Wyatt I was shopping for maternity jeans. I can still lay on my stomach and feel fairly comfortable (though I try not to, because I don’t want to squish Baby); we were way over belly-sleeping at 16 weeks with Wyatt. That, combined with the fact that the belly did a little disappearing act at 15 weeks, and I was worried that this Munchkin wasn’t growing! But, my worries were short-lived, because a few short days later the belly popped out! As evidenced by the belly pictures this week. Plus, I’ve also started definitely feeling the baby move! Before I wasn’t quite sure, but now I’m sure it’s the baby. And it’s so comforting to feel those little pops and flutters, though I still don’t feel them every day. This is my favorite part about being pregnant, and I can’t wait until the movements get stronger and I can feel them daily! Baby is the size of an avocado this week! About 5 1/2 inches (it still amazes me that I don’t show more already with a baby that big inside me!). Which I guess is about the length of your hand, which is still just amazing to me. I can’t believe how fast they grow in utero. The baby can hear my voice and loud noises now, and the facial muscles are developing, so the little one is practicing facial expressions! How cute! I’m also pretty sure we could find out the gender this week if we had a 3D ultrasound, but alas, my doctor’s office makes me wait until 22 weeks! Twenty-two. That feels like a long time away. I’m getting more excited to find out if this sweet baby is a boy or a girl. And I feel equally excited when thinking about either gender! I just can’t wait to know. Symptoms have subsided quite a bit the last couple weeks. No heartburn. No queasiness. No backaches. Just that dratted round ligament pain. I don’t think that’s really going to get better, but I don’t mind it really, because it’s just evidence that my uterus and baby are growing! I have a doctor’s appointment today, so if there is anything interesting to be said I’ll add it to this post later, or I’ll share on Twitter. I can’t wait to hear my sweet one’s heartbeat again! And a few more belly pictures for you . . . and check out this post to see me four months pregnant with Wyatt! Excuse the fact that my hair is a mess and we took this on the side of a highway. I turned 16 weeks on Saturday, which was also the day of my friend Hazel’s mom’s funeral, so we were on the road most of the day. And here’s a picture of me with the big brother too, just because! This was at our picnic a couple weeks ago (still working on getting my pictures going – computer trouble, you know). Off to my doctor’s appointment! I did it, guys! I finished 4 classic books in a week's time. It wasn't easy, but I did it. Today I'm headed down for a work meeting, in which we will get office photos taken and have a staff meeting. But the exciting part is that my boss is taking those 5 goals that we made at the beginning of the year and giving us money for each goal we completed! Then we are going shopping and must spend all of said money. It should be fun! 2. Clean out my car once a month. 3. Go on a walk with Wyatt once a week. 4. Read 5 classic books. 5. Frame and hang family pictures. Goals #1 and #5 I completed easily enough. But goal #2 was a big fat fail. What can I say? I hate cleaning out my car. I got better at goal #3, but realistically, I didn't go for a walk with Wyatt every single week this year, so I didn't feel like I could honestly claim that one. But 2 out of 5 goals seemed so lame, so I was determined to complete the 5 books, because at least that would make it 3 out of 5, which I think is respectable. So I picked out some books and read like crazy all week to finish that goal! My brain is tired. Miss Billy by Eleanor H. Porter (this is the same lady who wrote Pollyanna, so I would coonsider Miss Billy a classic too, just a little-known classic). Mere Christianity by C. S. Lewis (which I might have to do a post with quotes I liked fromt his book, it was very good). Common Sense by Thomas Paine (hard read, but nice and short! It was interesting to read it after hearing about it in history books all these years). Little Women by Louisa May Alcott (which I listened to instead of read, but I always intended to count audiobooks). Winnie the Pooh by A. A. Milnes (a children's classic, but it's a long book, and I read it aloud to Wyatt). Success! I'm glad that's done, and I feel pretty accomlished. No pictures, because if you follow me on Twitter, you know what kind of weekend I had. I've been gone almost all day for the past 3 days, and my emotions are completely drained after 2 funerals (in which I got to see some dear friends again, but still, funerals are hard), the shootings in Colorado (which disturbed me alot this time - more than it usually might), squeezing all that reading in (which I was stressed about), and just being so tired from being on the go so much. I'm just pounding this out now before I leave this morning. Here's for tomorrow, when I get to stay home with Wyatt and do nothing! And you all will get to hear my thoughts on gossip (and share your thoughts too for the link-up, if you are so inclined). . . The Clue, And A Winner! The giveaway is officially over, and it's time to announce the winner! But first, the elusive pregnancy clue . . . I had so many good guesses for lots of things I wouldn't have even thought of. Some of the most common were the places were I mentioned how I craved Chinese food and we saw "What to Expect When You're Expecting", when I said we couldn't give Miss Quince the attention she needed with two other dogs and a baby, and various mentions of birthday party planning in my First Birthday post . . . I honestly didn't realize I said so many suspicious things that week! I think I must have been subconsciously bursting to tell the news. The people who guessed something in the first birthday party post were "warmer", because the hint was in that post. Did you notice anything odd about the text in that post? Like the fact that there were random letters italicized in random words? Most people didn't notice at first, or just thought it was a formatting error. But if you put all those letters together, they spell "second baby". And yes, they were really there all along! I was so worried someone would figure it out before I had a chance to announce Baby #2 officially on Monday. But thankfully, I was safe! And probably only half the people who guessed actually got it right, so for those of you who didn't get the extra entries - you weren't alone! Though I was totally rooting for all of you to find it . . . ah, next time I guess. Okay, and on to the winner . . . which ironically was not one of the pregnancy hint entries . . .
Caitlynne from Love At First Sight! Congratulations, Caitlynne! I'll e-mail you shortly to get your address so I can mail you the prizes. Thank you to everyone who entered the giveaway! I had so much fun reading all your guesses, and I love finding new bloggers when I do these giveaways! If you followed my blog in order to enter the giveaway, and I haven't stopped by your blog yet, would you mind leaving your blog address below? Because sometimes the profiles in Blogger act weird and I can't click through to your blog, but I'd like to visit. *Just a note: There was one person who entered the giveaway who was clearly trying to cheat by claiming multiple entries that she didn't actually do, and I felt the need to mention that I removed all of her entries to the giveaway before picking a winner. Do try to go when you are invited to a party. When I was younger, we listened to Adventures In Odyssey (a radio drama for kids that Focus on the Family produces), and I can never forget this one episode where a somewhat obnoxious kid, Glenn, invites everyone in the school to his birthday party. I also vividly remember an episode of Smallville (I didn’t even really watch the show, but I remember this), where it shows the villain as a boy. There were presents and cakes and treats everywhere, balloons and streamers and party hats. Then it showed this adolescent boy, sitting alone and looking at all the untouched party paraphernalia. And he was crying. Because no one came. His dad came and talked with him about it, but you could see the hurt had cut deep. Both of those stories make me want to cry to this day. Obviously these stories weren’t real occurrences, but every story has a hint of truth to it, and I know this kind of thing has probably happened to others. My heart is so sensitive to the thought of someone being hurt like that; I hate the thought of someone enduring that kind of rejection. Maybe it’s because there were a few times when I had a party and not many people came. Maybe it’s because ever since I saw that show, and that boy with tears in his eyes (even if it was just an actor), I can’t bear the thought of that ever being my son going through something like that. When I think about these stories, I can’t help but think that if just one person would come, it would make all the difference in the world. And I hate the thought of anyone possibly going through such pain when I could prevent it by simply showing up. If you are invited to a party, go. Unless there is some other event that makes it impossible for you to make it, go. Even if you don’t know the person that well. They invited you because they liked you enough to want you to be there. Just go. Because what if you are the only person that will? You could be that person who makes a world of difference for someone. Link-up your friendship-related posts below! And keep in mind that we only have a couple weeks left of the link-up, so if you have been thinking about participating, now’s the time. See this post for more details and ideas. This seems like it's going to be a weird week as far as blogging goes. I'm just warning you now. Those of you who follow me on Twitter or Facebook know that last week my uncle died in a car accident. Everyone in the family is taking it pretty hard. Last Thursday I went to be with my mom and aunt and grandma as they all gathered at my grandma's house. It's just been a big reminder how fragile life is - and it sounds so cliche to say it that way, but I can't think of a better way to say it. My uncle seemed bigger than life, always full of smiles and jokes. And just like that he is gone. I don't feel sad for him, because I know he is in Heaven with Jesus right now, and he wouldn't come back if he could - he is in a perfect place, in perfect happiness. But my heart aches for my family, and how we will all have to wait until we get to heaven too to see him again. When I looked at all the tear-stained faces in that house last week, and thought about my aunt and cousins and grandma and mom, how they never would have thought that last time of seeing would be the last time they'd see him on earth - it just makes me hold my family a little tighter. Speaking of family, Derek took us on a picnic over the weekend, and I got some adorable pictures of Wyatt at the park. It was a fun time! But I don't have time to post them today, because I'm headed down with my mom to shop for something to wear for the funeral. It's been requested that we wear blue, since that was my uncle's favorite color. I'll try to post pictures later this week. Wyatt-boy is sick (I seriously just think we're going to avoid the church nursery for a while - I thought fall and winter were supposed to be the sick seasons), and he's just miserable and won't let me do a whole lot. He just wants to be snuggled all day long, and I'm pretty happy to oblige! I also have a meeting at work next week in which we will all share if we've met our goals that we made at the beginning of they year, and we might get shopping money for each of the goals we meet! So I'm kicking myself for making the goal of reading 5 classic books, and I'm going to be reading like crazy all week. I'm in the middle of 3 books that I would consider classics right now, so I'm hoping I can finish them before the 23rd! And Wyatt's crying, so I have to go. I will have the friendship link-up tomorrow, and keeping searching for the pregnancy hint, because the giveaway ends tonight! I'll give you one more clue . . . it's not anything I actually say in the posts. So when I say I was craving Chinese food, or that we went to see "What to Expect When You're Expecting" - it's not anything like that! And guess away, because if I feel so inclined, or if you are getting extra close, I might give you another hint via e-mail. I'll announce the winner later this week! Now I'm off to see if I can squeeze a shower in before my mom gets here, if the little man will cooperate . 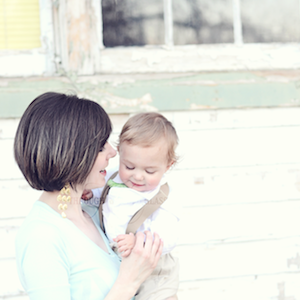 . .
As promised, here is our little “big brother” photo shoot with Wyatt! These were taken in May. I just drew the words on our pavement, and sat Wyatt down for some photos. At first I did the words pretty big, but you couldn’t see his cute expressions as well that way. So I drew the words smaller, which worked better. Wyatt thought the whole thing was pretty fun, and he kept crawling around and getting chalk all over his pants! Which I thought was cute. I really like the last two, because it looks like he’s pointing at the words in the second to last picture, and the last one looks like he just got finished drawing it himself! He’s the cutest big brother I know, that’s for sure. Earlier this week I received an anonymous comment. And it made me think. And I felt a little bit sucker-punched, not because of anything she said (I’m assuming it was a she) – I felt a little deflated because I recognized that sentiment. It’s something I used to think all the time. That “she doesn’t even know how lucky she is, she has no right to complain about anything” thought (not saying this is necessarily what you were thinking, Anonymous, but it is what immediately popped into my head). And you know what, I’m not even going to say those thoughts were necessarily incorrect. It’s quite possible that a lot of the people I thought those things about didn’t realize how blessed they were (though, now I’ve realized, who am I to really judge that?). And who really does have a right to complain about anything? But somewhere along the line, I think I started to get over it. Because as the old adage says, “Life isn’t fair”. And it will never seem fair. But on the other hand, I don’t think any human can really be the judge of fairness. Someone may have a lot of things going for them, but it doesn’t seem like it when they have a strong desire to be married and are still single. And maybe you can’t understand that until you’ve been in that position. Someone may be married, but it doesn’t make the longing for a child you can’t have any easier. And maybe you can’t understand that until you’ve walked that road. Someone may have a great husband and one (or more) wonderful children already, but it’s still very hard to want another baby so badly when they just aren’t coming along. And maybe you can’t understand that until you’ve experienced it. I might look at someone who gets pregnant “every time their husband looks at them”, when they aren’t even trying, and I might think they don’t even understand the difficult road they will never have to walk down. But you know what? Everyone has something that someone else in the world wants. But everyone also has their cross that they’ve been called to bear. Some crosses seem lighter than others. Some probably are lighter than others. But no one’s life is perfect, even if they seem to get everything you want without any effort. And you know . . . I wouldn’t trade my burden for anyone else’s. Even the ones that seem to be lighter. Because it’s hard to judge that until you’ve had to carry the burden yourself. As Aslan says in the Chronicles of Narnia – “No one is told any story but their own”. I’m pretty sure that this was just a hit-and-run type comment, because I would hope those of you who have been reading a while know how much I do appreciate what I have in Derek and Wyatt. Even through our trying to conceive baby #2, there were so many times I wrote in my personal journal that even if I never had another baby, I’d be okay, because I have my baby boy, and he is more than I could ask for. I can’t say I’m sorry to get the comment though. Because every night when I lay Wyatt down to sleep, and kiss his sweet face, I think of what a gift he is and I breathe a prayer of thanks. Every time I sit down with my mental prayer list, I remember my friends who are still longing for even one child, and my heart aches. Every time I think of those I know who so want to be married and have a family, but haven’t found their soulmate yet, I hold my husband a little tighter. It was good to be reminded again that other people don’t always just have what I want – I have what other people want too. I’m just sorry that anything about my family or what I wrote would cause someone pain. Because I think it was clear that Anonymous was in pain. And whoever you are, know that after reading your comment, I said a prayer for you, first that you would know a relationship with Jesus . . . and also that He would give you all that your heart desires. Because I’ve been there too. And to respond to the original question: yes, I do know how incredibly blessed I am. I have known it since before I even had my husband, or my son, or any of the things I have now. I think about it every single day. Four years seems like such a long time, but in the grand scheme of things, I suppose it’s not long at all! It doesn’t seem that long ago, really, that this was us – running to our getaway car on our wedding day. And yet here we are, four years later, with a wonderful son, and another baby on the way! I’m so thankful that God blessed me with such a hard-working, strong, godly, and handsome man to call mine. Babe, we’ve been through a lot together in the time we’ve been married, and there is no one I’d rather go through this life with than you! Happy Four Years, Derek, and here’s to the next 50+! I love you so much, and I’m so glad I married you! We kind of already celebrated our anniversary together last weekend – we had a failed attempt at a family outing on Saturday (long story), so we tried again on Sunday! My mom took Wyatt after church, and Derek and I went out for lunch. Then he let me go shopping for forty minutes before we headed off to a movie! Derek bought me a couple sweaters for fall, and we saw The Amazing Spiderman. We both really liked it. Just as good as the other Spiderman movie, I think. It was nice to get away and have a real date for our anniversary! I think I’m officially going to show more, quicker with this baby than I did with Wyatt – it varies from day to day, but some days I really feel like I look pregnant. Even though I’m pretty sure the general public wouldn’t notice yet. Baby is the size of a lemon, or a navel orange, depending on who you ask! Plus legs. That’s pretty big! It always amazes me how quickly they go from grape to lemon to other fruit-sizes. The baby is starting to grow hair by now (which might explain the heartburn I’ve been having the last couple weeks). Baby is also practicing swallowing, sucking, and breathing motions, as well as kicking and moving arms and legs. Speaking of baby movement, I’ve been trying to pay special attention while I’m laying down at night, and I think I might have started to feel some movement. Early on it’s hard to distinguish between baby movements and regular stomach rumblings, but I’ve had a couple times where I just thought it might be the baby. Little bubble feelings, and an occasional flutter or pressing feeling against my stomach. I can’t wait to see if they get stronger over the next couple of weeks so I’ll know for sure if it’s Baby or not! As for other symptoms, my back gets tired if I stand up for too long (it’s a good thing I work at a job where I get to sit down so much). I get worn out a lot easier, and if I’ve had a long day I feel like I can hardly move once I sit down. I’ve had some heartburn in the last couple weeks, more than before, and I’m thinking it might be related to that hair growth! Because did you know there is a link between heartburn during pregnancy and whether your baby has hair? It’s probably debatable (isn’t everything? ), but I completely believe it. It proved true with Wyatt, anyway. I’ve been having a lot of headaches the last couple weeks, which I suspect are hormonal. Still, it freaks me out a bit, considering my history with preeclampsia. So I did decide to start the daily baby aspirin to hopefully prevent another episode of pre-e – so I just take it along with my prenatal vitamin. I’m also officially off the progesterone! So far, so good. I haven’t noticed any problems with transitioning off of it, which is a huge blessing, since that was one of my biggest worries! Thank you for all the prayers! I go back and forth trying to figure out if this bump is higher than my bump with Wyatt or not – I feel like it is, but it’s a bit early to tell yet. However, the belly button is already a half-y. The top part of my belly button is poking out. Which is what makes me wonder if this bump is higher. You can read my 14 week update with Wyatt to see belly pictures for comparison! He loves playing catch! He’s so much fun. I love my little guy. Don’t (necessarily) let life changes affect the friendship. It amazes me how many friendships have ended after a friend got married (and the other was single), or had a baby (and the other was still childless), etc. For me, it has mostly happened when someone moved on to the next life stage up from me and (apparently), no longer found me or my life interesting. It could also happen the other way where maybe someone wouldn’t be interested in being friends with me after I moved to the next life stage from them (thankfully this hasn’t happened to me yet). Sometimes this is just the natural flow of things – people go in different directions, life drifts you apart . . . and sometimes that’s just the way it is, and it’s okay. If you were brought together in a friendship because you were in a similar situation (same work, school, etc. ), and then you no longer have that in common, those friendships probably will fade – and it’s okay, because they were there in the season that you needed each other. But what I’m talking about is friends that are more than that – friendships that weren’t just based on situation. There are some friends that you connect with because they are just a lot like you, you have a camaraderie that isn’t only related to you being in the same class together. And I think it’s a pity to let those friendships end because of life changes. I think if you really care about keeping a certain friendship you do not have to let this happen. You can’t control whether the other person is going to let life changes affect the friendship (and sometimes there really is nothing you can do about it). But you can control your own attitude on it. If your friend gets married or has a baby, don’t all of a sudden decide you can’t relate to her or she can’t relate to you anymore. Be there and be happy for her. Your turn will come. When you get married, don’t drop all your single friends and find new married ones. When you have a baby, don’t drop all your childless friends because they aren’t in the same life situation as you anymore. If you do that, you will miss out on the joy and excitement that comes when your old friends do finally get married/have babies! Sure, the friendship will be different for a little while after one person goes through a big life change like this. But I think with the friends that really matter, that’s when you find a new “normal”, and you make that work for you. People don’t stay the same – they grow and change, and friendships are going to grow and change too. And it’s not necessarily a bad thing – the friendship shouldn’t have to die. The good ones will just adapt. I don’t think it’s necessarily a good thing if all of a person’s friends are in the exact same life situation as they are. Either they have incredible luck and all of their friends moved on to the next life stage at the exact same time, or they might be missing out on or might have lost some potentially great friendships with girls who aren’t in their exact same situation. And I think that’s kind of sad. What do you think? Have you had friendship end because of life changes? Were you okay with that, or were there some you would have liked to keep? Highlight and press CTRL-C to copy. Write a post on Friendship and link-up below! Read here for more details on the link-up and ideas. *I found this image on Pinterest, but it was not linked to the original source. If anyone ever comes across this post and knows where this image originally came from, can you let me know so I can give proper credit? Thanks! It’s been a while since I did a giveaway on here – and I have a bunch of good stuff today! So just consider this my almost-1000-posts-on-this-blog, almost-300-followers, thank-you-for-reading giveaway! 1. Floral purse (I also thought this would be a good transition bag for early fall). 2. Francesca Batistelli Hundred More Years CD (it’s a good one). 4. Summer Boardwalk Slatkin and Co. candle. 5. Bath and Body Works Honeysuckle body cream (I love this scent for summer). 6. Hugo Naturals Mexican Lime and Bergamot soap (all natural, good-smelling soap). Now, I’m using Rafflecopter for the first time with this giveaway, and I think most of the entries are pretty self-explanatory, except for the last three. So let me explain those ones further. If you can correctly identify the clue before the end of this giveaway, I’ll give you ten extra bonus entries! Which increases your odds by quite a bit! Now, I ask that you include your e-mail with your answer, because that way if you do not guess it correctly the first time, I can e-mail you and tell you to try again. I’ll let you guess as many times as you want to/need to, and as long as you get the answer correct before the giveaway closes I’ll give you the extra entries! Because, by George, I have a heart, and if you’re trying that hard I want you to be able to get some points. But you need to include your e-mail so I can communicate with you about it. I just want to say big kudos to everyone who spotted it right off! I can’t get anything past you guys, can I? The second to last entry is for people who became Facebook fans before this giveaway – because I really appreciate that you liked my page before there was even any incentive. Thank you! And there was only one lady (Miss Ashley from Crosseyed), that spotted my pregnancy hint and mentioned it to me before I even told anyone there was a hint (she mentioned it to me a couple weeks ago, shortly after the hint was posted) – and I was so impressed by her extraordinary observation skills that I had to give a couple extra points for that! The last entry is to fulfill that promise. So just ignore that last entry (unless you are Ashley), and good job Ashley for finding it without even knowing there was a hint! I know I wouldn’t have! Okay, that’s all you need to know. Enter away! The giveaway will last through next Monday, and I’ll announce the winner next week! Let me know if you have any issues with the Rafflecopter widget, since it's the first time I'm using it. Okay, so I have to know . . . 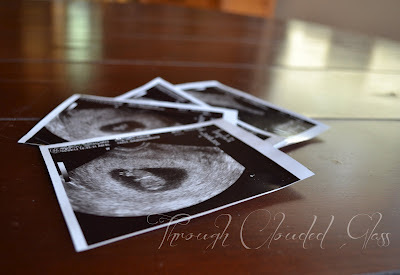 The week before I announced I was pregnant I was writing for the blog and I decided to sneak a little hint about expecting baby #2 into the post. So . . . who caught it? So send me an e-mail telling me what you think and I’ll tell you if you’re right! And I’ll give you extra entries next week. Speaking of the First Birthday Parties post, let’s look at the poll, shall we? How much would you/did you spend on your child’s first birthday party (including decorations, presents, birthday outfit, food, and any other details)? You all are so thrifty! Most of you thought $0-200 was a good amount to spend, and 16% would spend somewhere from $200-500. But nobody wanted to spend more than $500 dollars (at least not anyone that voted). I told you all I would tell you how much I spent on Wyatt’s cowboy birthday party . . . I spent right around $100, give or take five bucks. Which I’m pretty happy with, considering that included everything, including presents and food! Plus I gathered all my decorations over a six month period, so it didn’t hit my wallet too hard anyway. And finally, in case you haven’t noticed, I haven’t had any Moms and Babies features for a while – and that’s because I officially put the feature on break for the summer (I’m just finally getting around to telling you now). However, I will be starting it up again in the fall, so if you are interested in being featured, shoot me an e-mail! I do ask that you are at least a follower of mine in order to be featured, and that you are familiar with my blog, because that’s only fair. I’ll review your blog and get back to you with the questions to answer! See this page to check out previous features. Once I get a few moms to feature I’ll send out a schedule and let you all know the start date. I’m looking for moms to feature from September until the beginning of December (because after that I’ll be taking a break again – you know, having a newborn and all!). Anyway, the point is that I have a limited number of weeks to fill, so it’s first come, first serve! I’m looking forward to getting the feature going again when Autumn arrives! It’s called “Sinful Color Professionals”. Kind of a weird name, but dare I say I almost like it better than Essie? Because I do. It goes on just as smooth and it seems to last just as long. And it’s way cheaper – $2 a bottle at Target! The colors are a little more wild, but sometimes I like a bold color. So I’ll be buying more of this in the future I think!